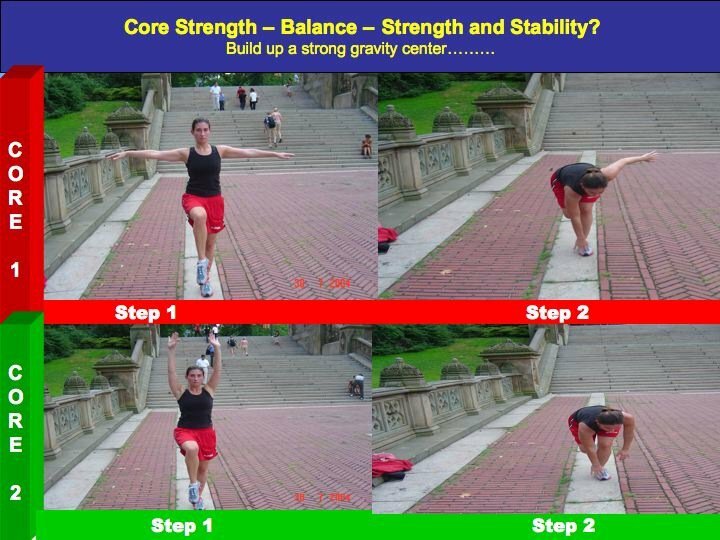 Free Exercise of the Week: Core Strength with Cross Lateral Movement: Really Challenging! thanks so much for liking this section and keep doing my proposed exercises. You will be empowering your core and the brain. From a standing position, raise one leg and keep raised at all times. Arms are straight open to both sides. With the right hand lean down to touch the left ankle without losing the balance. This is one rep. Do it 5 times and change. From a standing position, raise one leg and keep it raised at all times. Arms are ABOVE your head. With the right hand lean down to touch the left ankle without losing the balance. This is one rep. Do it 5 times and change. Good for the Brain: You need to concentrate in postural alignment, balance, core stabilization. Cross lateral movement: When you raise the left arm and right leg you are forcing both brain hemispheres to communicate and work together. Looks simple. this is what I am saying to some of my friends that even a simple strength training program will not hurt. It’s really important to be active.